Lifesaving SA’s best male and female flags duo of Ryle de Morny and Mandi Maritz added the sizzle to a cold Sunday in Adelaide, Australia, in the Lifesaving World Championships.South Africa’s best women’s beach sprinter, Mandi Maritz, came in fourth in the women’s Open flags to go with her silver in the beach sprints she won earlier in the weekend. But it was De Morny who stood tallest when it counted most as he added another gold to a collection that now exceeds 10 medals in the last decade. De Morny placed first in the flags after missing out on a medal in the sprint, where he finished fourth. The Notten brothers Nicholas and Dominic just missed out on a medal in the board rescue, but Dominic managed to get bronze in the board race, with Nicholas coming in fourth. Nicholas also took gold in the surf ski earlier in the competition. 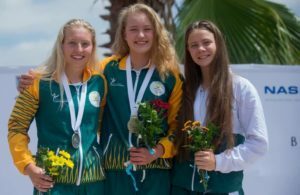 It was a golden weekend for South Africa’s youth males in the pool, with Milan Erasmus and Connor Botha breaking the world record in the line throw, winning gold for the duo. Botha and Erasmus’ new world record is the first by a South African at the 2018 World Championship. Matthew Fenn and Ally Chislett also won silver in the youth surf ski and surf swim respectively. Botha celebrated his 17th birthday with a third place in the board race and Daniel Jacobs also got a bronze in the surf ski. 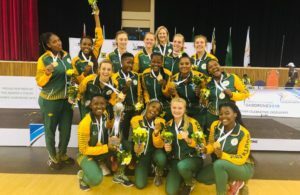 Team SA’s Kira Bester, Tamryn McKie, Alice Edward, and Erasmus won gold on the opening day in the junior mixed simulated emergency rescue competition. 50m Manikin rescue: Calvin Coetzee 6th, JP van Zyl 11th, Sulinke van den Berg 8th, Ally Chislett 11th. 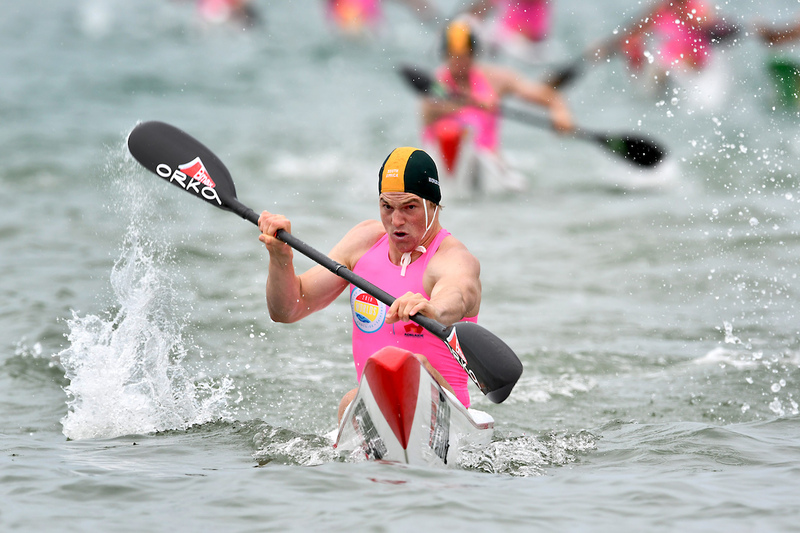 Photo: Nic Notten in action in the surf ski competition, by Harvypix.